This was the Winner of the 2015 Art and Olfaction Award in the artisan category. How has it passed me by? Heard, as a huge fan of Ellen’s work to not know this. I find her ability to create magnificent, multifaceted fragrance with depth and luster second to none. If you have only ever smelled designer and niche fragrance then Olympic Orchids is a horse of a different colour. Your nose will be surprised. OK, I’ve found why I never got to Woodcut. 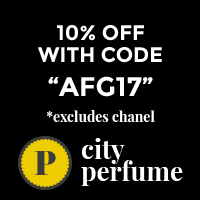 Azar wrote very early on about it here on Australian Perfume Junkies. Now if one of the team gets to a frag first that usually means I can go smell something else in my ever expending pile of unsniffed fragrance so sometimes, even with a favourite perfumer, I gratefully let that one slide. Anyway, I recently bought this sample and WOW! Eating chocolate by the woodpile, maybe making chocolates in a wood kitchen, I am smiling from ear to ear. The wood is SO REAL and the hint of chocolate is making my tummy grumble for some. Soon the smell of charred wood or blown out matches joins the fray and that heavenly overlay of caramel keeps everything sweet. Maple syrup sweet rather than fairy floss. BOY this is good stuff, no surprise that it won the Art & Olfaction Award. Sweet, warm and resinous woods. My friend TinaG said, “Hello snuggily winter days”. She’s right. It is a perfect winter fit but I also bet it would be refreshing in the heat of summer too. Do you ever try the Indie Perfume makers? Which is a favourite? I have TONS of indies. Two faves are Deep Midnight and A Wing & A Prayer on etsy. Indies are the most interesting perfumers nowadays, they feel much more raw and immediate to me. I don’t like sweet, but I love this ❤️. And yes, it does work in the heat..
YAY! I love it when my hunches prove reliable. Glad it works well in the heat too. This sounds like a total winner, Portia! Chocolate by an open fire? Yes please. I’ve never tried any of Ellen’s perfumes but I need to. That surprises me. I think you would definitely love some of Ellen’s beauties. Woodcut is very accessible, Olympic Amber is beautiful, Little stars, the Cattleya series, so many to love. “Cryptical Envelopment – strange and addictive” sounds right up my alley. Olympic Orchids are beautiful & beguiling. I bet you find at least 5 loves among the collection. Oh yes, Zoologist is definitely Indie. If you like Woodcut style of perfumes, have you smelled Lutens Chene and Morabito Or Black. Granted they are not exactly similar but both these two perfumes wonderfully capture the smell of a tree in a forest or the burning wood. I mean vintage Or Black because I have not smelled the latest version which is not made by Morabito anymore but a licensee company. Yeah, I liked Chene and my memory of Morabito Or Black was that it was a leather, interesting. To me, Or Black smells smoky. I made someone smelled it who is not a perfumista like us and he thought it smelled of bonfire. I have been meaning to sample some of this line. I have heard nothing but good words about these scents! A few Indie favorites are: House of Cherrybomb’s Tobacco Cognac, En Voyage L’Hombre, Liz Zorn’s Soivohle line, I have many, all great, DHS, Aftelier, and a friend has a line, Aziza World Fragrances, Aroma M, Sonoma Scent Studio, Kyse Perfumes! So yes, I have a few. Need to check out Solstice Scents also! You are a complete Indie HO! Aren;t they amazing? So much diversity.